In December we published an article discussing how people would soon no longer have to present the paper part of their car insurance certificates when applying for road tax, and that paper tax discs will soon be defunct. Now, the government have announced that they are planning to move all driving records online in order to save money and make the process of gaining information easier. According to the government, migrating drivers’ data from offline to an online database will help people save money on their car insurance, as providers will no longer have to increase premiums in order to factor in people lying on their applications. Finding a person’s driving record is currently difficult for car insurance providers, which means that many choose to increase premiums automatically. However, once the details are online providers will be able to quickly compare the information provided by a customer and their driving records to ensure they are telling the truth. It is estimated that drivers will save an average of fifteen pounds per year, however at the same time motorists that lie on their car insurance applications will see an increase in their premiums or even be prosecuted for fraud. Discussing the new scheme, Cabinet Office minister Francis Maude said: “This will enable insurers, for example, to price much more accurately, because they will not have to take anything on trust.” Meanwhile, a spokesperson from the DVLA said: “Although some services cannot be delivered digitally, such as assessing a customer’s fitness to drive, we can improve the processes supporting the delivery of these services through making greater use of digital tools”. 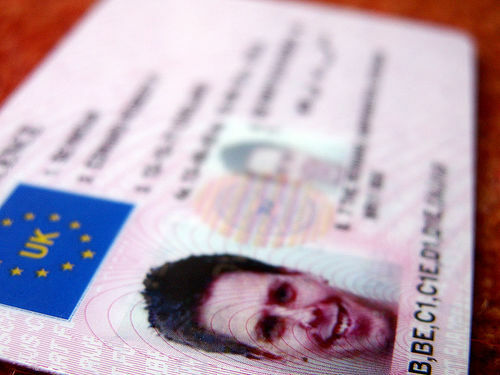 There have been some concerns over the government’s plans however, such as the fact that personal information could be targeted by online fraudsters. Furthermore, members of the car rental industry claim it will have a detrimental effect on their businesses and not save them money as the government have claimed. A spokesperson from the British Rental Vehicle and Leasing Association said: “There are around 10 million car rental transactions in the UK each year and the majority of rental bookings are approved very quickly and at no cost by checking the driver endorsement and qualification information contained on the driver licence counterpart. The government is also planning on changing the way driving standards are monitored and upheld in the UK by merging and replacing the Driving Standards Agency (DSA) and the Vehicle and Operator Services Agency (VOSA) with the Driver and Vehicle Standards Agency (DVSA). In a press release MP Robert Goodwill wrote: “In June the department announced that DSA and VOSA would merge to form a new agency. This decision was made following the motoring services strategy consultation, and is a demonstration of the government’s commitment to put customers and businesses at the heart of its services. It is not yet clear how both of these changes will impact motor traders or whether motor traders will see a fall in the cost of motor trade insurance. In the near future it is likely we will see further changes to the legislation and systems currently in place for motor traders, especially as the government are determined to digitalise their processes. As usual, QuoteSearcher will provide our readers will all the news and updates that will affect the car and motor trade industries.